Lately I've been feeling quite motivated and inspired by my garden in my efforts to eat healthier and cleaner! I wouldn't say I'm eating 100% clean, but I'm definitely making an effort and I feel great as a result. I am not really willing to give up greek yogurt, cottage cheese and creamer for my coffee. We all pick our battles, don't we? I'd like to share some yummy foods I've been eating lately. Eggs are an easy go-to in my house, especially since we have our own farm fresh eggs right here. While the family would much rather I make regular scrambled eggs, I prefer sautéing up some veggies first (because they take longer to cook than the eggs) and then add in 2 to 3 eggs and then stir a bit and let it cook for a few minutes on the stove. This whole process usually only takes me less than 10 minutes, so it is definitely a quick and easy breakfast even on mornings where I have to go to work! 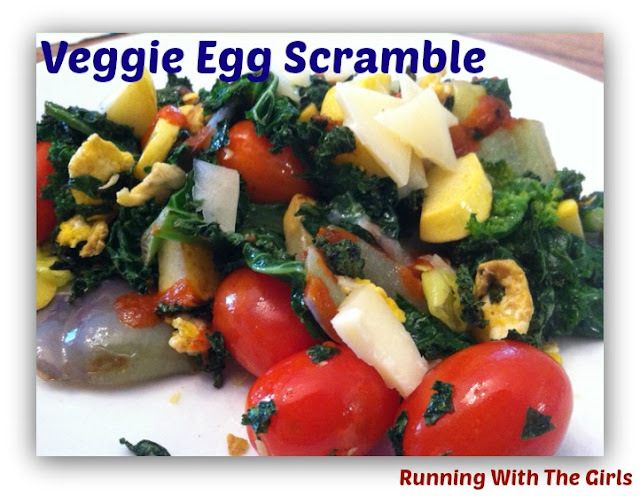 In this picture I have chopped onions, diced purple peppers, kale, and tomatoes (added just before the eggs). Then I added a few slithers of cheddar cheese to the top with a bit of salt. Since Izzy and I are the only ones in the house who seem to like peppers, we definitely win with this recipe! It was so easy and incredibly filling. - saute kale, zucchini, and onion in pan then add in tomatoes near the end. 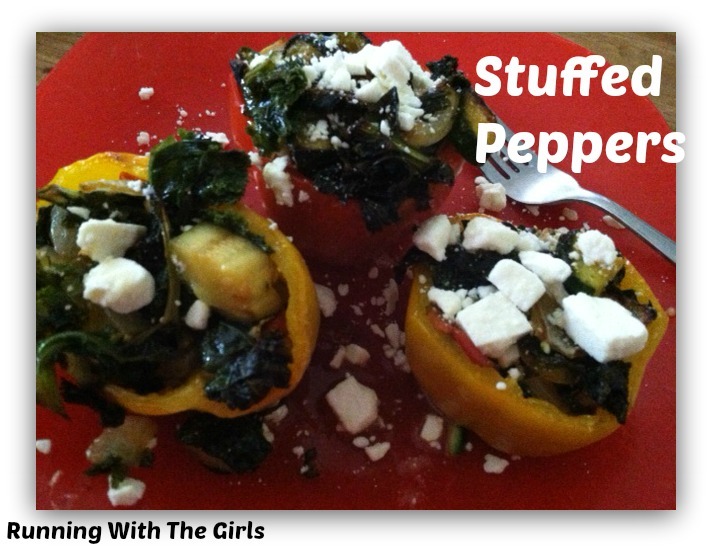 - sprinkle some feta on top as soon as you take these delicious peppers out and enjoy! This is just another experiment that I loved! So light and filling. Definitely something I'm going to hold onto to make for school lunches! 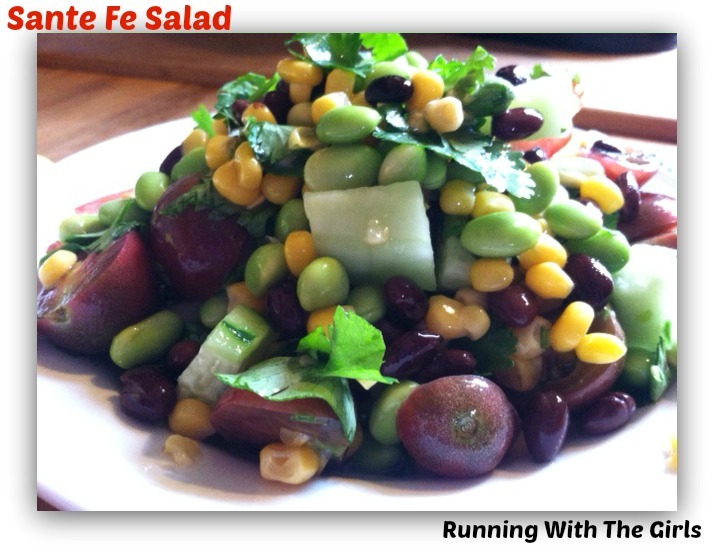 All three of these meals are quick, easy and healthy! Sorry, I do not have the calorie counts, as I don't really focus on that. I just enjoy throwing things together and experimenting - and if it turns out to be a success - then I love sharing! Loving the veggie garden recipes! I don't have a garden bone in me, but love trying new things in the kitchen! They all look so fresh and delicious! I love eating all of my meals like this! Looks so yummy and healthy! I am trying to weed out the processed foods. Wish I had space for chickens and a garden. Way to go girl! I wouldn't be able to give up Greek yogurt either!